Here’s my January Perfume News Round Up of Upcoming Releases and News Items that have caught my eye and piqued my interest. 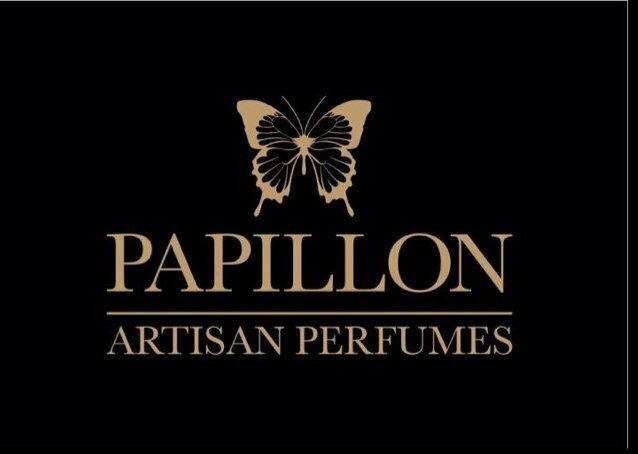 Liz Moores from Papillon Artisan Perfumes revealed that she has a new perfume White Moth out in spring. I have to say that after her fantastic launch last year of Anubis, Tobacco Rose and Angelique, this is the release I’m most looking forward to. 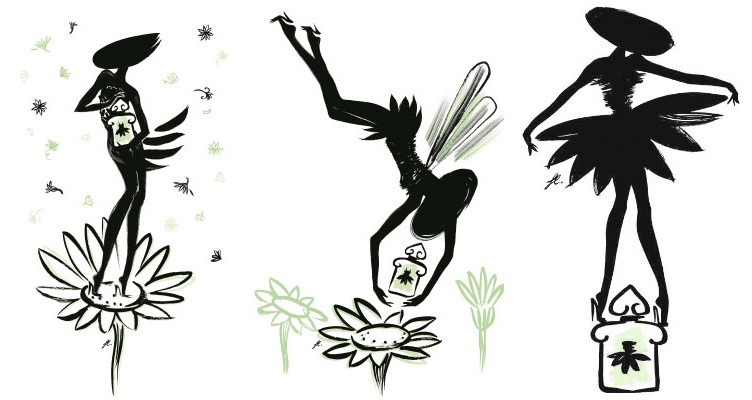 “We are excited to announce our new perfume, White Moth will be released this Spring/Summer. A beautiful blend of tiaré absolute, jasmine, beeswax, green mandarin, vanilla and cedar wood. 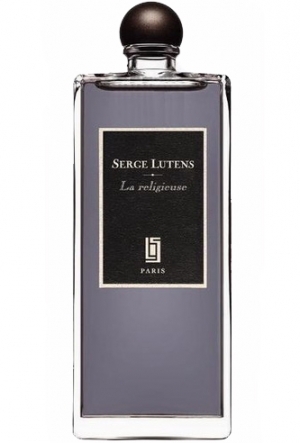 Plus the already mentioned La Religieuse from Serge Lutens. I haven’t been swept away since Fille de Berlin so fingers crossed for this one, although Persolaise described it as a soapy floral, so I’m not sure if this one is going to appeal either. Anyway I’m definitely giving it a whirl when those samples are released. Lutens perfumes always tell a story and indeed these inspired tales of religion, loss, life and death cast a shadow over his creations. My very rough translation of this. (I’m no French expert) : It is a pure and crystalline jasmine with a civet background, more animalic, the experts will say. For me, it embodies the sensual purity of femininity. One that has always obsessed me. An icy woman who burns her fingers. Good and evil at the same time. Like the snow. White, intact but we want to trample it. The nun, that is me. Chanel is adding another perfume to its Les Exclusives collection. 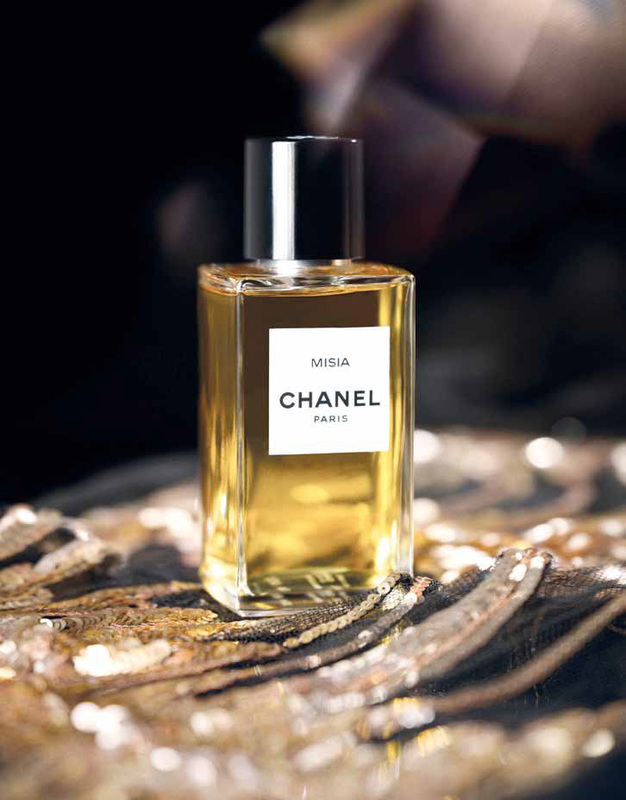 It is named Misia, after Misia Sert, a gal pal of Chanel’s and has been described by Grain de Musc as “a gorgeously sensuous lipstick note on a furry, balsamic base.” The notes have been listed as comprising of violet, iris, orris root, Turkish rose and rose from Grasse, benzoin and tonka bean. This will be the first creation for Olivier Polge at Chanel, who has been welcomed into the familial fold by his father Jacques Polge. He has already created many blockbuster perfumes (Dior Homme, Valentino Uomo, Invictus, Flowerbomb with Carlos Benaim and Domitille Berthier, and La Vie Est Belle with Dominique Ropion and Anne Flipo ) as well as niche classics (Cuir Beluga for Guerlain) so I’m really interested to see how his obvious talents will enhance Chanel‘s line up. Here’s hoping that when he takes the reins, he will add some glamour to the brand and not play it too safe. Chanel hasn’t had an interesting release in the regular line for a while now and needs an injection of creativity. L’Artisan Parfumeur is adding a perfume to its regular line called Rose Privée, a blend of Rose de Mai from Grasse, carnation, magnolia, lilac, basil, violet, patchouli and hay. L’Artisan mainstay Bertrand Duchaufour and his Grasse apprentice Stéphanie Bakouche have created this scent. It will be available in 50ml and 100ml bottles from April. French perfume house Teo Cabanel makes refined, well crafted perfumes and is releasing Lace Garden a feminine floral to its range. It is priced slightly higher than its stable mates and will be available in 50ml and 100ml bottles. I really love Alahine a beautiful floral amber and Oha an elegant dark rose. Their perfumes smell slightly old school French, and indeed many of them are in fact old blends as this is a restored historic perfume house. It will be interesting to see what direction they take with their new releases. 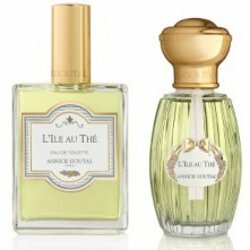 Annick Goutal has an upcoming release L’Ile au Thé, an EDT with notes including mandarin, citrus, osmanthus, tea and white musk crafted by Isabelle Doyen. It’s inspired by an island off the coast of South Korea called Jeju. It will be available in 50ml and 100ml bottles. There will also be a matching candle. Annick Goutal have some divine perfumes in their range. My favourites are Ambre Fetiche, Heure Exquise, Sables, Mon Parfum Cheri par Camille, Ninfeo Mio and no doubt there are other gems that I haven’t discovered yet. Guerlain is releasing Teazzurra, a new tea fragrance in its lighter Aqua Allegoria range. It’s apparently already available in some airport stores and in March will be widely distributed. They are also releasing another flanker (surprise surprise) to La Petite Robe Noire called Ma Robe Petalés and will be available in 30, 50 and 100ml EDT. The juice looks to be a pastel mint shade which is a colour that is gaining popularity in the perfume world. Guerlain is churning out LPRN flankers at quite a pace. The notes for this are: Top : mandarin, pistachio, rose and freesia; Middle : almond and tonka bean; Base : white musk and patchouli. I actually quite like the sound of this mix so it will be interesting to see what Thierry Wasser has come up with. British perfume house Miller Harris is releasing three new fragrances to celebrate 15 years in the business. I’m keen to try more Lyn Harris creations as I’ve recently added Noix de Tubereuse to my collection and I love it. It’s a dense, rich gourmand style tuberose. The three new perfumes are Cassis en Feuille, Poirier d’un Soir and Coeur de Jardin. Notes for Cassis en Feuille are : Top : Italian bergamot; Middle : rose, blackcurrant bud, tomato leaf, egyptian geranium; Base : Virginian cedar wood. Poirier d’un Soir notes are : Top : Pear, Italian bergamot, caramel, rum, blackcurrant, marigold; Middle : birch tar, peony, Turkish rose; Base : ambrette seed, cashmere woods, white cedarwood. 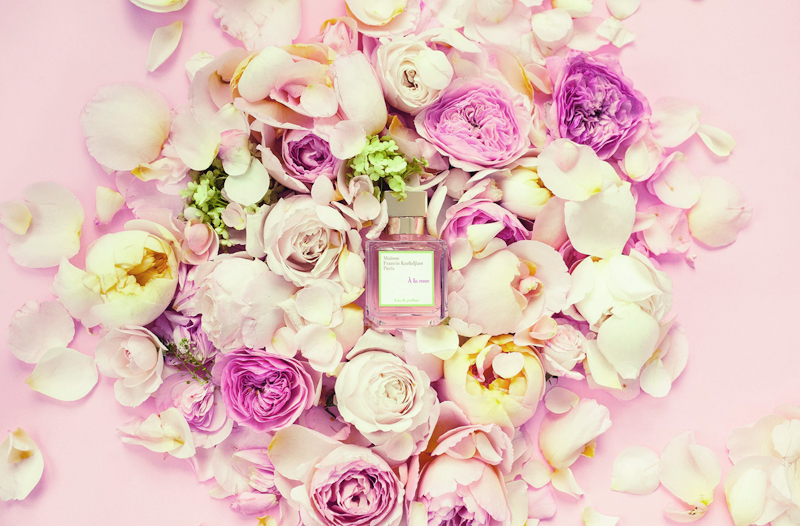 Notes for Coeur de Jardin’s notes are : Top : Italian bergamot, lemon, hesperidin pear, peach ; Middle : Turkish rose, tuberose, jasmine; Base : iris, amber, musk, moss and patchouli. Maison Franckis Kurkdjian has a new rose perfume, À la rose. I do love Francis Kurkdjian‘s Lumiere Noir Pour Femme, a classic rose and patchouli combo with a teeny dose of narcissus that cinches it for me. So I feel this deserves a trial. 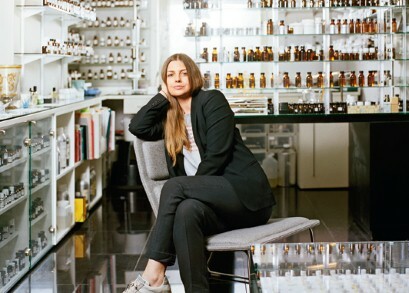 Andy Tauer‘s perfumes have gone up approximately 20% in price as a result of the floating of the Swiss Franc. My verdict : Andy’s perfumes are still incredibly good value, they’re quality scents that last as long as a flight from the Antipodes to Europe, so don’t let this price hike put you off. Read more about this on his blog. L’Artisan Parfumeur and Penhaglions have been sold to Spanish mega brand Puig. This acquisition gives them a small foothold in the niche market. Other perfume brands in their stable include Prada, Valentino, Nina Ricci, Paco Rabanne, Carolina Herrera and Comme des Garcons.